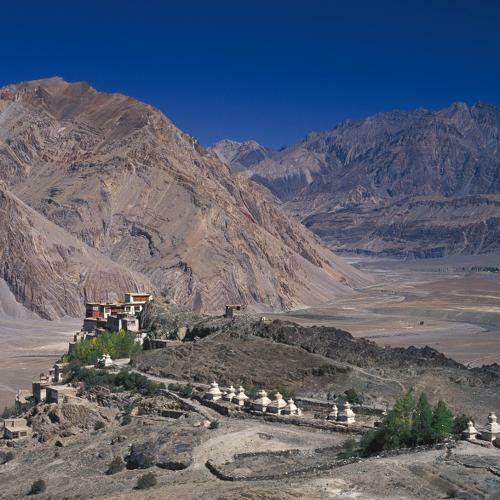 What defines an exploratory trek is the level of local traffic and other travellers using the said trails and these treks generally have little to none of the above. We go wild, into the rugged and remote corners where you’ll find peace and serenity knowing you and your trekking group are far from the crowds and embarking on an exploratory journey where few have been before. In these climes, nature is undisturbed and environments are pristine meaning that our responsible tourism practices will be front and foremost while our strong planning minimises risk but maximises the experience. 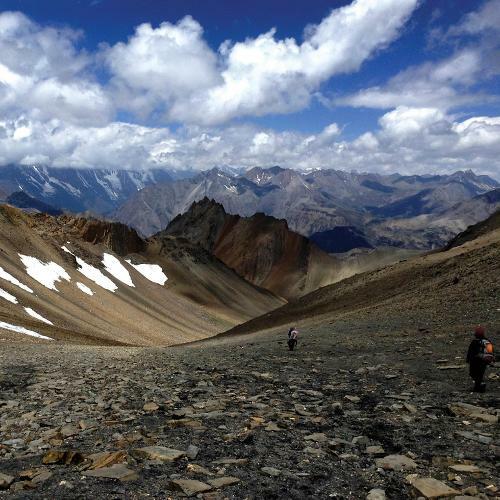 Exploratory treks often involve trekking at high altitude, sometimes above 5000m, for up to 12 hours a day. Though modern luxuries such as internet connection, warm showers and familiar treats from home are few and far between, they become but a distant memory as you spend your time gaining a deep connection to the land and the few that live amongst these remote mountain regions. Expect trail conditions to be poor in some places, and its likely you’ll encounter snow and ice requiring the use of mountaineering boots, crampons and ice axes – a genuinely true exploratory experience. Designed for those with an excellent level of fitness, you need to be completely comfortable in adverse weather, with evenings spent in wilderness campsites in alpine or sub alpine conditions. 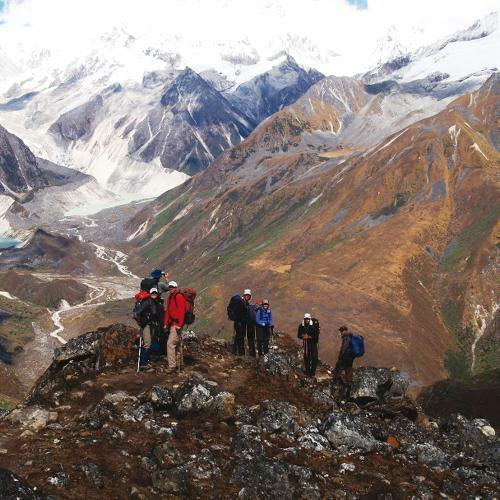 You can expect to carry up to 12-15kgs in your backpack as you traverse rugged terrain that takes you far away from the tourist trails and deep into the mountains, all whilst led by experienced guides with an intimate knowledge of the area. When you embark on an exploratory trek, you leave the beaten path behind and set out for a journey of discovery – of the destination but also of yourself.